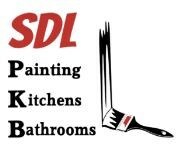 SDL PKB Ltd - Bathrooms, Kitchens, Painter/Decorator based in Frinton-on-Sea, Essex. We are a family run business with a combined 150 years of experience. We are group of Painters, Bathroom and Kitchen fitters. We treat every job with importance and always leave customers smiling. We have a team of 30 that cover the whole of London, Essex and Surrey and for peace of mind, all work carried out by SDL PKB (Painting, Kitchens & Bathrooms ) is guaranteed for 1 year. Project manage - if you have a large project with various different trades needed, to take the stress away from customers I can oversee all of the work and ensure that everything runs smoothly. Bathrooms - we can remove and dispose of old bathrooms. And then install any Bathroom that you desire. We have good relationships with bathroom suppliers to be able to get you a good suite at discount prices. We leave you with a year’s guarantee on parts. Painting - our painting service is second to none. We can cover all of your decorating needs. Making good of surfaces, painting interior and exterior. Working with all types of paint including gloss and varnish for any woodwork. We can offer wallpapering and lining services. We have good relationships with suppliers to ensure we can get customers materials for the best prices. Tiling - we can work with all kinds of tiles including porcelain and ceramic. We offer floor and wall tiling for any room desired, especially kitchens and bathrooms. Our tilers are perfectionists and aim for the perfect finish. We use top of the range tiling equipment to ensure this. Kitchens- we have top of the range kitchen fitters to help you design and install your dream kitchen. We also provide a free CAD service (computer aided design) to help achieve this. We are proud and take pride in every single job that we do.